You can track their personal Goals from the Pipeline view and the Goals section. 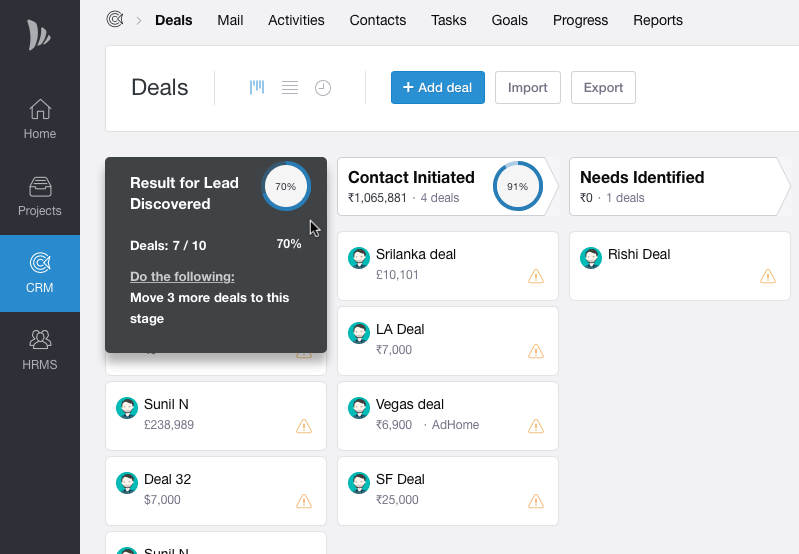 You can track progress of your goals from the little pie charts in Pipeline view of deals. You need to change filter to My Deals to see Goals status . Clicking on the pie charts will give more clear insights of the Goal. 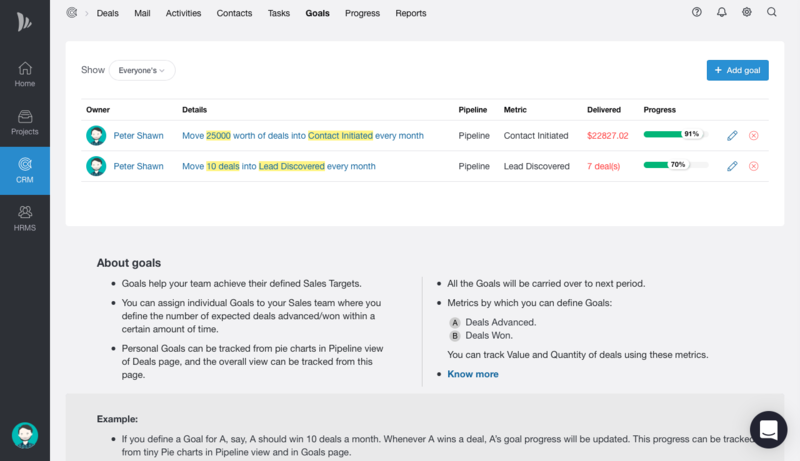 Alternatively you can head out to dedicated Goals tab in CRM and track your Goal progress from there.